It's almost 4 months since I've dived into our Web analyst's monthly report. Usually I'm quite satisfied with the improvements in the bottom line numbers. Now, that I was looking at other things of interest I've realized that since our Christmas success we've experienced a continuous traffic growth in the Shopping Centers and Outlet Malls segment of our website. I've decided it's about time to write another nice post about our joint effort. From the SW department I've been informed that in few days we're gonna release a completely new SW version that would upgrade the user's experience, especially in the Attraction pages, introducing new planning features. "Good job!!!" Our Web analyst has released his monthly report last week covering the various page categories of our site, and the traffic channels in general that played a major role on our site's December traffic. In our Shopping Malls / Outlet Malls category, we’ve expected to see some spike of traffic around Christmas but we've never thought it could be that high. The amazing thing about it is the fact that the traffic for this category does not decay, and his January predictions are even slightly higher. BTW, the bad news here (according to his study), is that visitors to these pages are more likely to leave our site – if you have any ideas on the causes for such behavior, please share them with us. They asked me not to expose our actual numbers, but I couldn’t resist exposing the highlight shopping mall page among the few hundreds that we currently cover – it was viewed 845 times during the month of December. It’s the first on my following list that is ordered by TripCart’s popularity ranking report. Trying to sleep on a plane is always an ordeal and it's always hard to get comfortable cramped up in coach as planes get more and more crowded. 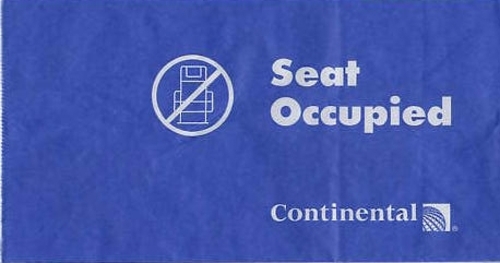 If the pathetic pillow you receive isn't doing the trick you could try getting one of those hemorrhoid donuts that fit around your neck or you could go all out with the 1st Class Sleeper. This pillow supports your whole back and keeps your head from flopping around. 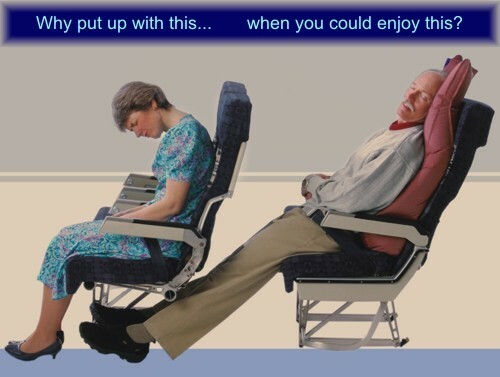 It also magically creates an extra half a foot of legroom. The next time you're headed to the beach you won't need to slip that flask in your back pocket, you can walk on it instead. 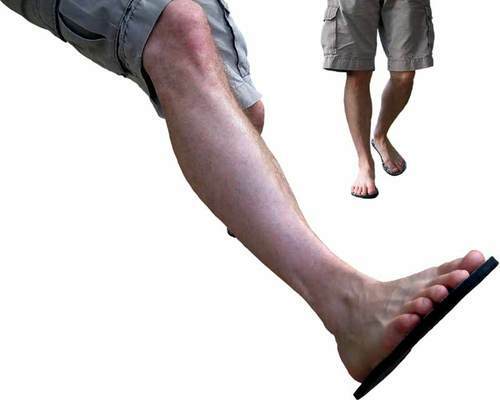 Just fill up your flip-flops and hit the sand. Unfortunately, we can't find any details on just how much Malibu will fit between your soles. Everyone loved looking at old pictures of flight attendants so much that Dark Roasted Blend scrounged up another set of fascinating photos from the golden age of aviation. Enjoy the eye candy. 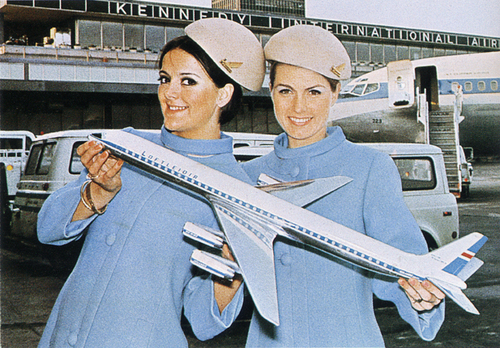 Here's the previous post about flight attendants from days gone by. In today’s fast paced corporate market, every minute counts and often can be the difference between success and failure. No longer is it feasible or convenient to take time out for toilet breaks, especially in taxis, subways or rail systems where facilities aren’t always provided. Now, for the GM who has to take a BM, there is the Gotta Go Briefcase. 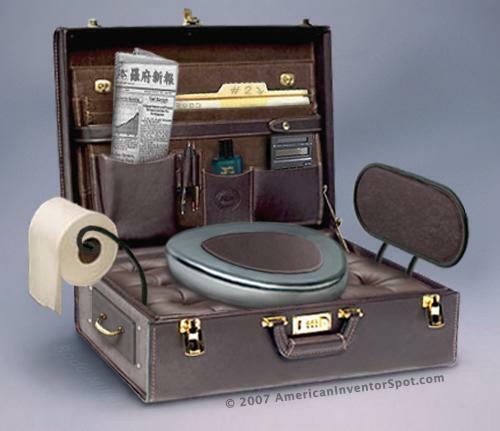 A full functioning briefcase that also doubles as a portable lavatory. Unfortunately, no tips are provided about where one would actually go about utilizing the device nor do they provide tips on how to block out the mental image of your poo swimming around in your briefcase all day long. After a recent post with advice about how to increase your chances of holding on to the bags you check through at the airport we got a reply from Rob whose advice was: "Any luggage tag that can be ripped off is dangerous, because thieves do exactly that. They rip off the tag at the airport and now that they have your address and know you are on vacation, they can rob your house. That's why leather luggage tags or any stronger material are the best idea!" Well, we think we found the answer. MyTags are 7" long and are more durable than leather, they also include two clear pockets, one for your itenarary and the other for your address and phone number. However, even though you can get your name printed on them, they're still kind of pricey at $10 a pop. 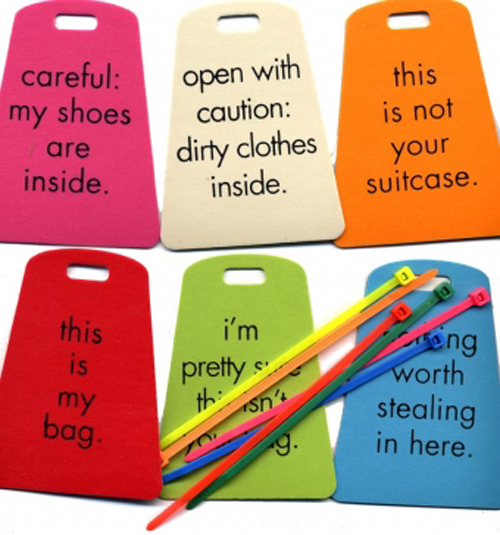 These fun little luggage tags designed by Pamela Barsky are a great way to distinguish your stuff from everyone else's the next time you take a trip. They run $12 for a set of six and the colorful quick-ties are also included. Our only complaint is that they should include a place somewhere to put your details in case your bag full of dirty clothes goes missing. OneDerWear is an ultra-light disposable underwear created for traveling. Designed to provide the utmost comfort and convenience, OneDerWear disposable underwear is 100% cotton and ideally packaged for maximum space efficiency. Each package contains five compact pairs of individually wrapped disposable underwear that can fit in the palm of your hand. With OneDerWear, you simply wear and toss! By the end of your trip, you'll be surprised to find plenty of luggage space for gifts and souvenirs. And if you're really cheap, they claim that each pair can take about three washings before they finally fall apart. 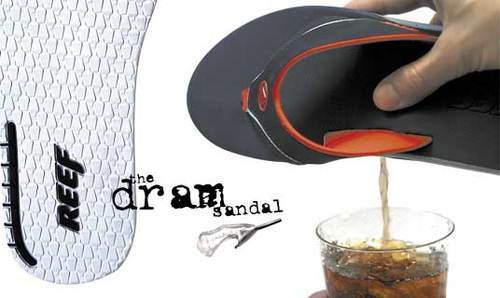 Hmmm...we're undecided on this one, other than a trip to India, we can't really see when these would come in handy. Whether you are outdoors, indoors, on nearly any non-abrasive surface, the paws are the most convenient tools to accompany your yoga work out on the go. Made to accommodate the changing world of fitness, Yoga-Paws are ideal for travel, home, and everyday use.